Australia has begun public consultations into the future of the use of cheques - a topic that has been raging in the UK for a number of years causing great consternation in the Not for Profit sector. Australia has begun public consultations into the future of the use of cheques – a topic that has been raging in the UK for a number of years causing great consternation in the Not for Profit sector. The Australian Payments Clearing Association (APCA), the payments industry self-regulatory body, has announced a public consultation process to gather community views on the future direction of cheques in Australia. While cheque numbers have been steadily declining for more than a decade, Reserve Bank of Australia figures show that cheque use in Australia has declined by more than 35% in the last four years. 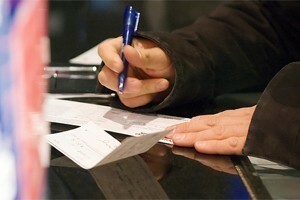 The total number of cheques in use in Australia has dropped from 437 million in 2006 to 276 million in 2010. The APCA says it is undertaking the consultation process to ensure that as cheques become scarcer and inevitably more difficult to use, the community’s payment needs continue to be met. Recent research commissioned by APCA found that 75% of consumers do not use cheques at all. However, 5% of Australians believe they would have a major problem finding an alternative to using cheques. These consumers are predominantly the elderly, rurally isolated and unwaged. APCA CEO Chris Hamilton says that APCA is keen to hear directly why cheques remain important for some Not for Profits and businesses. Hamilton stresses that there is no pressure in Australia to come up with a date to abolish cheques but it is clear that they will eventually go away.Hamilton says one challenge may be the large number of Not for Profit organisations without any resources for process enhancements, due to their low administrative budgets. In the UK this week, the House of Lords re-opened debate into the proposal by the Payments Council to phase out cheques by 2018. The UK Government argued that alternatives to cheques must be acceptable to small business and charities and that if cheques are abolished the Payment Council must introduce a paper-based replacement for them. The suggestion caused heated debate, with the UK Opposition declaring that if the alternative would have to be a paper-based system why on earth was the Payments Council even bothering? The proposal to abolish cheques has greatly concerned many UK charities. It is estimated that some 80% of UK donations are received in the form of cheques. The UK’s Treasury Select Committee reopened its inquiry into the proposed abolition of cheques by 2018 earlier this year because of continued levels of public concern. In Australia, the APCA says cheques are clearly in irreversible decline and the consultation process will help identify why certain consumers and businesses are still using cheques when other safe, efficient and cost effective payment options are available. Take part in our Pro Bono Australia Snap Poll now and let us know how reliant your organisation is on donations via cheque (See below). APCA CEO Chris Hamilton says he’s keen to find out if there are the same issues around cheque usage here as in the UK. He says there are already some important differences here where there are no interchange charges on credit and debit cards. Also in the UK there is a central infrastructure that deals with cheques rather than handling by separate banking institutions in Australia. He says anecdotal evidence suggests that the use of credit cards and electronic payments are more widely used by donors in Australia especially for people under the age of 30, the majority of whom do not have a cheque book. Hamilton says he is keen to hear from peak bodies as well as large and small Not for Profits about their use of cheques. APCA will organise a series of roundtable meetings with groups and organisations representing key users and acceptors. These roundtable sessions will be held across the country during the eight weeks before submissions are due. Participants will receive a briefing based upon the Consultation Paper and will be invited to make comments, raise issues and provide input. A proposal paper presenting recommendations for the future development of the payments system will be released for further comment in the last quarter of 2011. Information about the consultation including the Consultation Paper is available at www.apca.com.au/consultation. Submissions are due by 29 July 2011. For many elderly people a cheque is the only safe means of paying bills. Many do not have access to the internet for electronic payments and already too many elderly folk are carrying large amounts of cash to pay local traders. They perceive this as economical, saving the cost of stamp duty, but will use cheques to pay accounts for utilities (power, water, etc). If cheques are not available, some older people will pay all bills by cash. When the matter is discussed, these people firmly believe that no-one nptices the wads of cash brought out of pockets. They do not believe they are vulnerable.